Lindsay Lohan co-hosted an LGBTQ Super Trade Party held at Schimanski on Sunday night in Brooklyn, New York. The 31-year-old actress took fashion inspiration from Blac Chyna and paired an oversized Adidas Original sweatshirt (available at Amazon) with a pair of racy thigh high boots. How do you like Lindsay’s cozy club ensemble? 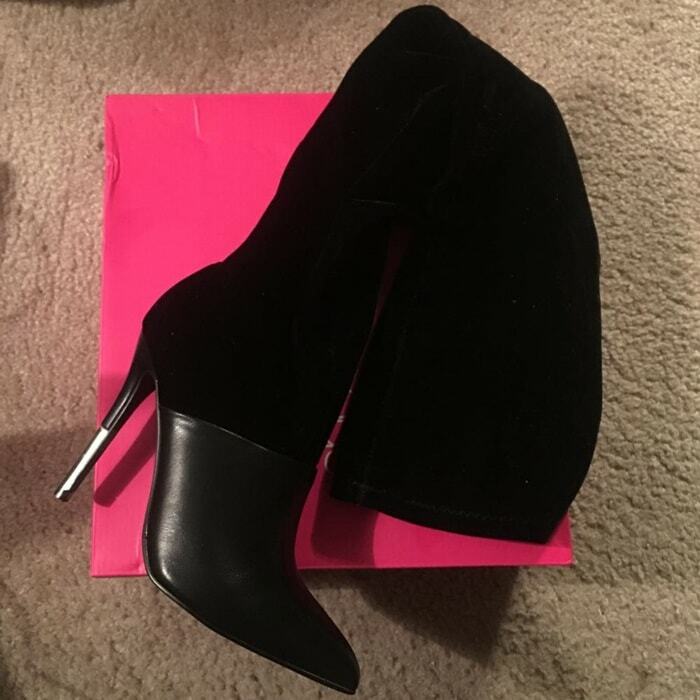 If you’re looking for a new pair of thigh-high boots, we recommend the super chic ‘Amalie’ heels that you can buy for just $10.74 at ShoeDazzle. You really can’t go wrong with this pointy-toe boot with metal heel detail that you can purchase in black and olive.